THE most frustrating part of former Drapac Professional Cycling's Malcolm Rudolph's two-year health battle was not knowing what caused the sudden sickness that left the former rising star bedridden. "I'd be fine one day, then the next would be a complete write-off," Rudolph said. He would regularly wake up in the middle of the night feverish and covered in sweat. 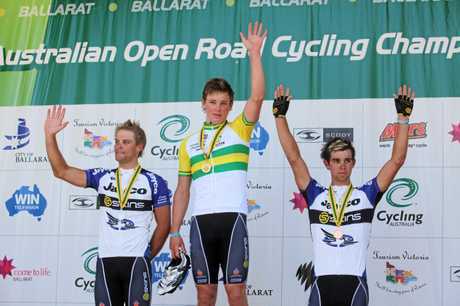 It depleted his energy and jeopardised the career of a man who once shared a podium with 2017 Tour de France green jersey holder Michael Matthews and former Olympic and Commonwealth Games medallist Michael Hepburn. It was an ordeal that lasted two years, as specialists struggled to make a diagnosis. "We went back to the doctor about 10 times," the 29-year-old said. "We went through emergency, we did everything. "I eventually saw an infectious disease specialist and (later) worked out it was something to do with my liver." A microscopic parasite known as Fasciola hepatica was determined as the cause of his long-term infection, diagnosed as fasciolosis, at Christmas last year. Rudolph can't pinpoint the exact time he fell ill, but its likely to have been during one of his many trips to south east Asia. The infection can be caused by consuming contaminated water or when using utensils washed with contaminated water. The Maryborough-born rider still suffers the effect of fasciolosis, but he said he can now at least access antibiotics to treat the infection. The extended time off the track could have had a silver lining for Rudolph. He split with Drapac Professional Cycling on good terms in mid-2015 after a four-year stint with the team, during which he competed in Tour events across the world, with Tours of China, Iran, Turkey, Azerbaijan and Alberta, Canada, on his extensive cycling CV, and made one of the biggest decisions of his life. "I decided that I could keep racing and not make decent money, or I could get a job and finish uni," Rudolph said. He chose the latter, and last year finally completed a degree in secondary education, which he started as his career took off in 2008. A return to professional cycling could be on the cards for the Bulimba-based athlete should his form allow it, but there are no questions about it his ability. 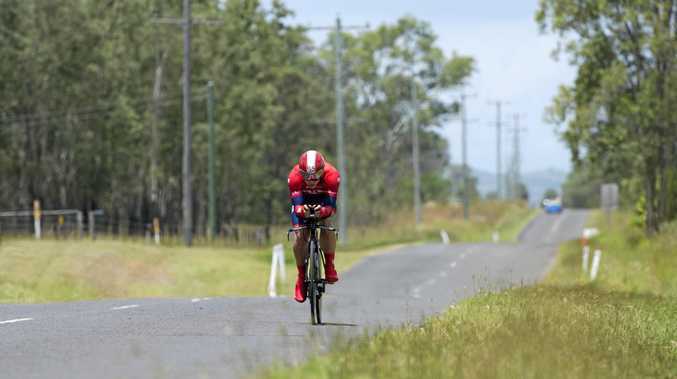 He completed the Ironman 70.3 Sunshine Coast in October last year despite his poor health, finishing 209th overall in under five hours, and he competed in the Sizzling Summer Series, an event he won in 2016 and 2017, which finished yesterday. His focus is primarily on getting healthy and riding only in local races. "The focus has been on getting better but I'd like to get back for a few rides," Rudolph said. "I took a backward step (in 2015) and finished my degree. (A bigger return to cycling ) depends how I go with my job."